I don't like the shinyness where you can see the reflection on the windshield. Does the 303 aerospace do that? Maybe the matte finish is exceptable for my taste. Shiny dashboards are yuck. What is the best stuff to use to not make it shiny. 303? Started using Maguiars inteior detailer. Love it. It's safe on all surfaces in the car and has a neat smell to it. 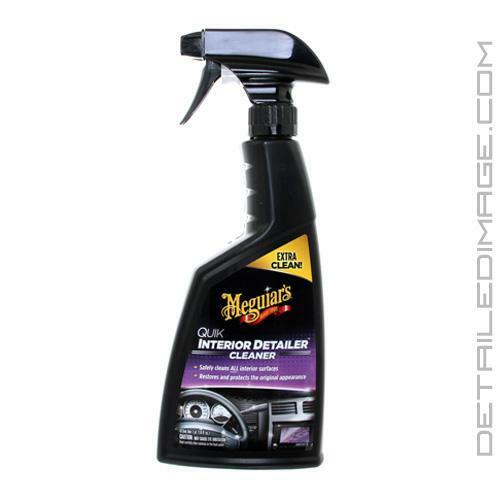 Ive been using Meguiar's Quick Interior Detailer. Its great for cleaning, doesnt leave a greasy look to the dash and also has UV protection. Safe on almost anything in the interior. I bought some of this stuff and dayum... My dash and interior looks fantastic. Highly recommend. Damp rag for built up dust and debris. Then I go over it with Griots detailing spray.